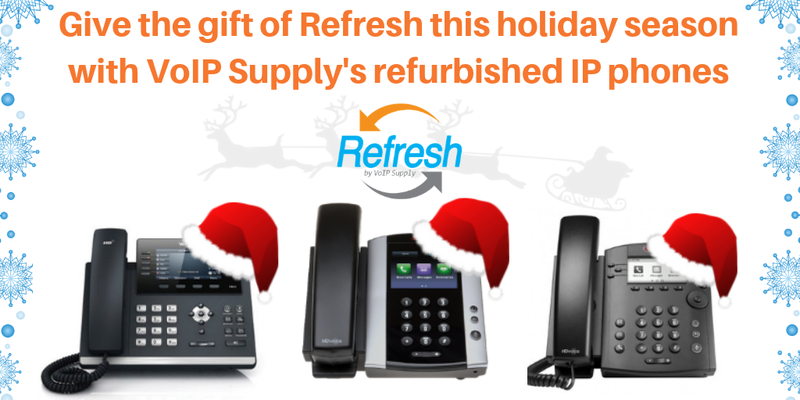 This holiday season, stock up on the best deals you’ll find on used IP phones. 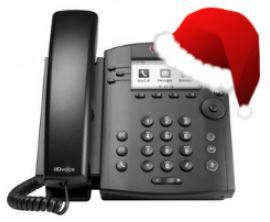 VoIP Supply’s Refresh line has lots of options that you can offer to your customers who are looking for quality second-hand options that are fairly priced. The Yealink T46G is for customers looking for an executive phone for busy professionals. A high-resolution TFT color display, HD Voice and Gigabit Ethernet are just some of the key features of the T46G. This phone supports an EHS headset and also has a USB port for flexibility on device connectivity. The Polycom VVX 500 is for the customer who wants a high-end device that can be used in any business, from small to large enterprises. The VVX 500 features a touch-screen display that reacts to hand gestures. Two USB ports make it easy for you to connect devices and even use the phone’s display as a digital photo frame or as an extension to your desktop. 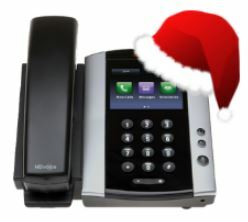 The Polycom VVX 310 is the IP phone for call centers or for areas where employees do not need all the bells and whistles. The VVX 310 has a grayscale backlit display and Gigabit ports. 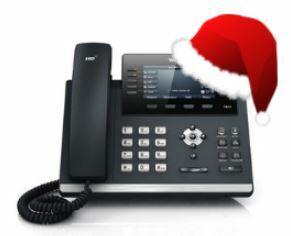 Users can connect a headset via an RJ9 port as well as connect their phones to their workplace applications such as calendars and Instant Messaging (IM) applications so that the notifications display on the phone’s screen. The holidays don’t have to be all about new! Give your customers the option of buying from our refurbished line and they’ll appreciate you for giving them more for their bucks!